The true worth of an insurer or broker is only known when something goes wrong. But there needn't be an actual claim for an "incident" to arise; however well-oiled the cogs, occasional complaints are inevitable. No one likes to receive complaints but good companies welcome them - it's better that a customer speaks up than packs up, taking their business elsewhere! Brightside Group aim to ensure the best possible experience for customers, whatever the issue. CAS Ltd is delighted to announce they have selected our Workpro complaints management software to underpin this. Brightside Group has been a fast growing insurance broker since 2001. Founded to provide motor insurance for small businesses, group brands now offer car, van and motorcycle insurance. As home and wider business cover were successfully introduced to the portfolio, personal and pet insurance policies were natural additions to complete the mix. Good terms, quality cover and keen prices are obvious essentials when web searches and phone-arounds make it easy to make at least surface level comparisons. So how does Brightside continue to win business 1,000 times each week in such a competitive market? “Putting customers at the heart of everything we do is key to Brightside maintaining a competitive edge within our markets. Listening to customers and acting quickly to respond to complaints and dissatisfaction ensures we can move swiftly to improve our processes, products and customer propositions. Core to this is having a first in class complaints handling solution.” Neil Laird, Product and Marketing Director, Brightside Group Ltd.
Brightside business systems speed the claims process to achieve fast and fair resolution for customers who can be worried, annoyed or distressed. Workpro complaints management software will enhance Brightside customer service, enabling staff to quickly respond to and resolve any complaints in a consistent, professional manner. Brightside Group is of course regulated by the Financial Conduct Authority (FCA) so a complaint needn't be serious for it to be reportable. From "expressions of dissatisfaction" that can be easily resolved, to the - thankfully rare - call to action to resolve a more complex matter, Workpro will enable Brightside to satisfy FCA reporting requirements. Workpro complaint management software is a ready-to-go solution for financial services firms of all sizes that want to comply with FCA complaint handling rules, but also want to harness the rich information that can be found in complaints data. Root cause and trend analysis inform service improvements while eliminating the cost of avoidable, repeat mistakes. 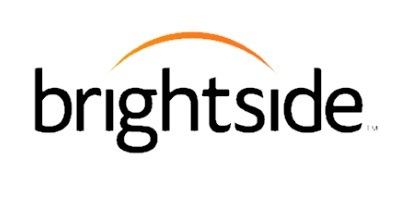 Learning from mistakes and delivering better outcomes for customers adds to the upside for Brightside.